Three fixtures are in focus for our Daily Fantasy Premier League picks for Gameweek 7. 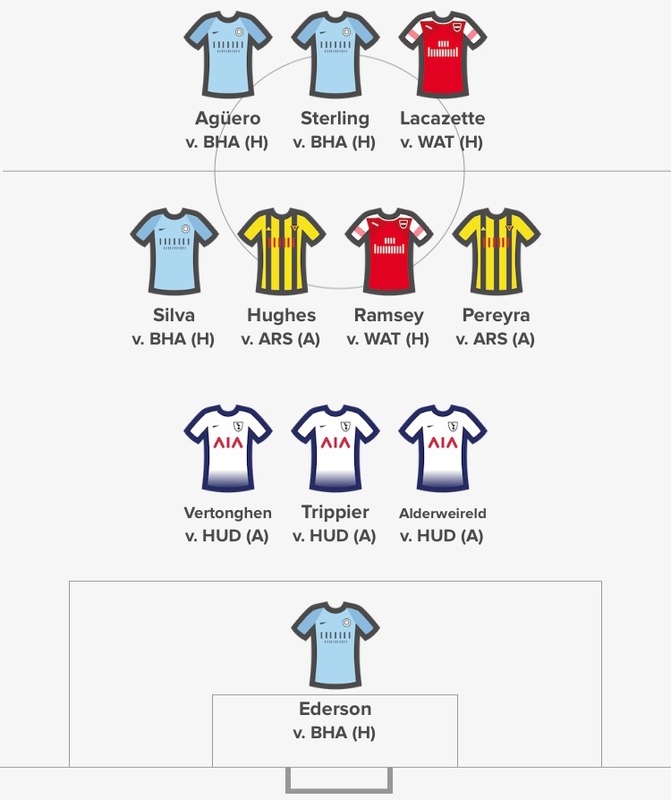 Whilst these selections are based on the Starting 11 game and scoring system, you may also find them useful and relevant for Fantasy Premier League Gameweek 7. You can challenge the community by downloading the FREE App on Android or iOS and create a team. For more information on How to Play Starting 11 and their current promotions, click here. Manchester City appear to have the easiest fixture this weekend: they’ve scored 19 goals so far this season which is the highest in the Premier League and they face a side that have yet to keep a clean sheet. Aguero is the focal point of the City attack, plus he has an excellent home record. He has 3 goals and 4 assists across home games this season and should be fresh after a rest midweek. Alongside Aguero, Sterling is performing well, with 3 consecutive returns. He’s found the back of the net in the last two home games, so there’s promise of goals this weekend. In the midfield, Bernardo Silva finally delivered a performance that the underlying statistics were suggesting: he now has 6 shots and 9 attempted assists across the last 2 games. City come into this game, with two clean sheets on the bounce. Ederson will be looking to make it a hat trick of shut outs and an attacking return is never out of the question for him. These two sides sit in the top 6 of the Premier League table, with a combined total of 23 goals. Defensively, they’ve conceded 15 goals, with just two clean sheets between them. 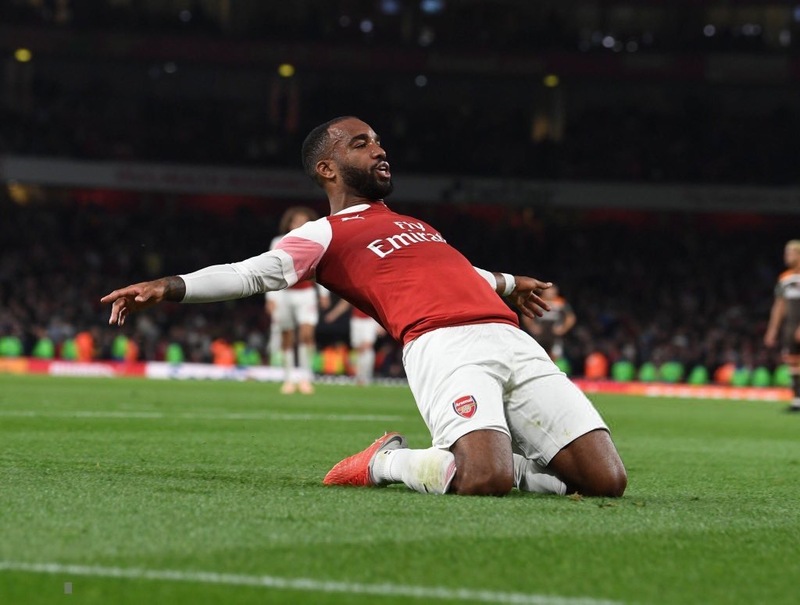 Lacazette has now amassed attacking returns in 4 consecutive league games, after pinning down a starting berth in the Arsenal attack. He has 2 goals and 3 assists in his last 4 games. Ramsey finally delivered assists last week, after an underwhelming start to the season. With 8 shots and 11 attempted assists to date, he will be looking to improve output. For Watford, Hughes and Pereyra may benefit from Deeney’s knock. A change in formation could benefit the wingers, who gave a combined 21 shots and 16 attempted assists. With Lloris in with a chance of returning this weekend, Spurs will be hopeful of improving on their solitary clean sheet this season. Huddersfield have scored just 3 goals this season and have failed to find the back of the net on home turf. Trippier looks to be the best source of attacking and defensive returns, having amassed 3 shots and 9 attempted assists. In the absence of Eriksen, he will be on all the Spurs set pieces this weekend. Elsewhere, centre backs Alderweireld and Vertonghen will be looking for clean sheet points. They should both benefit from the Starting 11 scoring system, acquiring points for tackles won and passes intercepted. Starting 11 have contests available on Saturday. Here’s the team we will be lining up with on Saturday. Sergio Aguero is given the captains armband, with the most enticing fixture of the weekend.